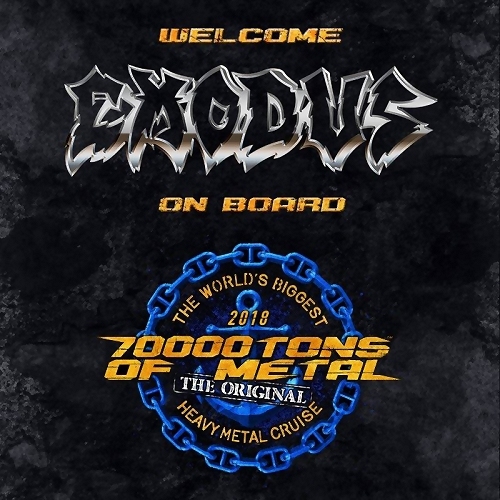 Exodus is confirmed for 70000Tons Of Metal, the Original, the World’s Biggest Heavy Metal Cruise! They embark on February 1st, 2018! 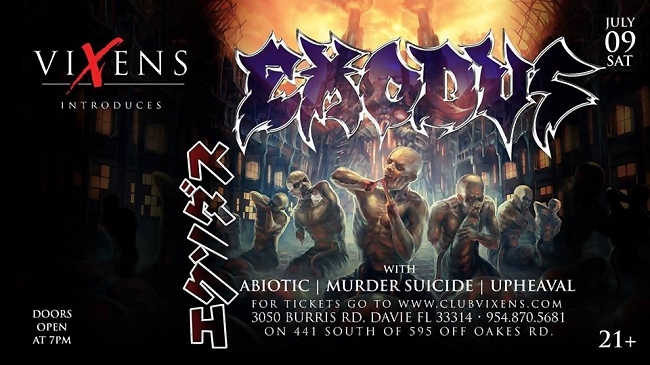 Check out this funny video for our shows in Florida! 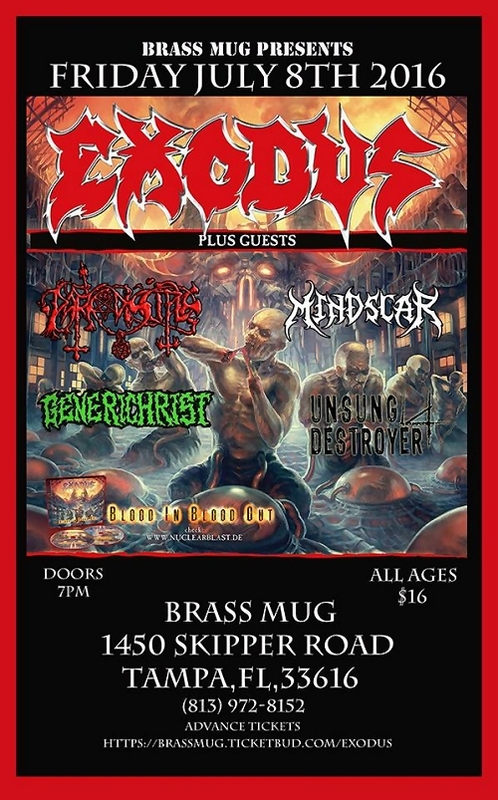 Exodus is confirmed for shows at the Brass Mug on July 8th in Tampa, Florida, and at Club Vixens on July 9th in Davie, Florida.